How could rare and precious minerals be so deadly? Amie now has two lives to save and faces a bleak future on her own. Amie is assured that her next assignment will be easy and very safe. How could a safari camp in the African bush along with the President and international representatives from several countries possibly be dangerous? 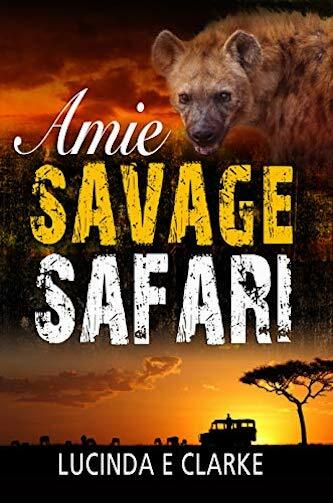 Fans of Wilbur Smith, Peter Rimmer, and Tony Park will love this series by award-winning author Lucinda E Clarke set in the modern day in the African bush. Lucinda E Clarke [not her real name] was born in Dublin but has lived in 8 other countries to date. She wanted to write but was railroaded into teaching. She had a habit of “falling” into other careers, announcing on radio, then scriptwriting for radio and television. 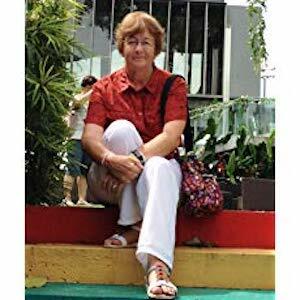 She has been a professional writer since 1986 winning over 20 awards for her work, including mayoral speeches, company profiles, drama documentaries, educational programmes for radio and television, adverts, news inserts, court videos, National Geographic, cookery programmes, to name but a few! Walking Over Eggshells is her first self-published book, an autobiography which describes her adventurous life, trying to escape the emotional abuse she suffered from early childhood. She published her second book a novel, Amie an African Adventure, in July 2014, already a #1 bestseller in its genre on Amazon.co.uk. Lucinda’s third book Truth, Lies, and Propaganda, was published on Amazon on November 30th, 2014. It is the first in a series of two books and More Truth, Lies, and Propaganda was released in 2015. They follow the author’s journey from the classroom to radio announcing, on to television and finally to setting up her own video production company. The books are packed with anecdotes of the often hilarious things that happened while out shooting a wide variety of subjects, taking the reader behind the scenes in the media and highlighting South Africa and its people. Other books in the Amie series are Amie and the Child of Africa, Amie: Stolen Future, and Amie: Cut for Life.